Opening hours: Business hours are from Mondays to Fridays between 8 am-5 pm. Shops are normally open from 10 am-6/7 pm on weekdays and until 3 or 4 pm on Saturdays. No trip to Vilnius is complete without a visit to the self-declared Republic of Užupis, just across the sparkling river Vilnia, and behind the spectacular red Gothic façade of St. Anne’s Church. Just be sure not to miss the prominently displayed constitution (it is in Lithuanian, French and English) which states, among other things, that: “Every dog has the right to be a dog.” Other places of special interest include Vilnius University, the Hill of Three Crosses, the Gates of Dawn, the Presidential Palace, the Town Hall, Ponar Memorial, Kalvariijų market, not to mention countless other museums, galleries, churches and statues. 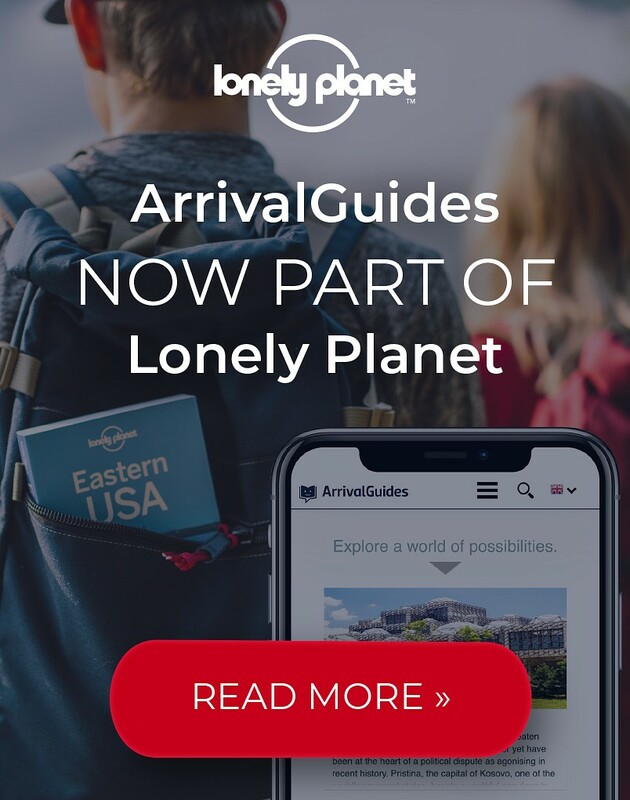 Just one thing is certain when it comes to Vilnius: one visit is never enough. 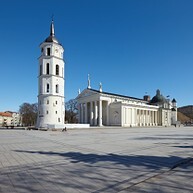 The Cathedral Basilica is Lithuania's most important sanctuary and a witness of the nation‘s baptism in 1387. This is also one of the greatest architectural examples of classicism in Vilnius. In the Cathedral's catacombs you can find a museum of its history. Visitors can book an excursion (in the Cathedral`s parsonage) and be professionally guided. 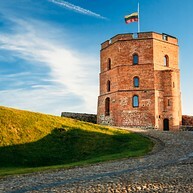 The tower, a long standing symbol of Vilnius, is located on the 48 metre-high hill. It is named after the City’s founder, Gediminas, the Grand Duke of Lithuania. This is the only remaining part of the Upper Castle, which stood here from the 10th until late 14th century. There is an observation deck on the top of the tower, a great place to appreciate a magnificent panorama. Gediminas’ Tower can be reached by foot or a funicular. The impressive Vilnius University ensemble was established in 1579 and represents different architectural styles: Gothic, Renaissance, Baroque, and Classicism. The ensemble consists of thirteen enclosed courtyards, St. John's Church and the highest viewing point of the Old town. The 68-metre high campanile offers a breathtaking view of the Old Town. The St. Anne's and Bernadines Churches are a fine Lithuanian Gothic ensemble located right next to each other. St. Anne’s Church, constructed with 33 different kinds of clay bricks, is the most outstanding and enchanting Gothic building in Lithuania. It dates back to the late 15th century and remains largely unchanged. This church is a masterpiece from the 17th century and one of the most significant Baroque monuments in Lithuania. It is famous for its exceptional interior where one can see about 2,000 stucco figures. The Užupis district is sometimes compared to Montmartre in Paris or Christiania in Copenhagen. It is a self-declared republic of artists. The district has its own president, constitution (displayed on the wall in Paupio Street), anthem, military, day of celebration (April Fool's Day) and a guardian (the bronze angel). Užupis stands for creativity and uniqueness. Once you reach the top of this hill, a terrific view of the city opens up before your eyes. 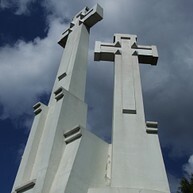 Three white crosses standing on the top symbolise Lithuanians' mourning and hope. The first crosses were erected in the 17th century in memory of the martyrs, but were removed during Stalin’s rule and then rebuilt in 1989. A journey to the top of this hill makes for a lovely hike through a peaceful and green area of the city. This lovely street is like an open-air gallery. 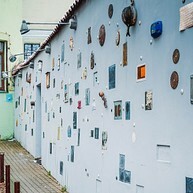 Its walls are decorated with small objects made of metal, wood and glass as tributes to writers who have influenced Lithuanian literature. Gediminas Avenue is the main street of Vilnius, where most of the governmental and cultural institutions of Lithuania are concentrated. 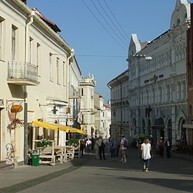 Nowadays it is also a very popular shopping and dining street. 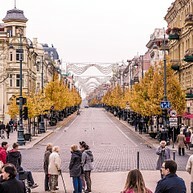 It is partially a pedestrian street in the evenings when traffic is prohibited. The Amber Museum and Gallery offers informative displays of the “Baltic gold" as well as temporary exhibitions of amber jewellery. The museum hosts a unique collection of samples and the history of amber, from its formation to its possible applications, all presented in an interesting and modern manner. 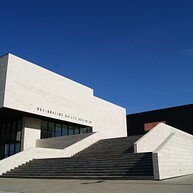 The National Art Gallery is a modern multi-functional centre of art and culture. 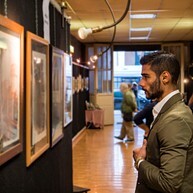 Visitors become acquainted with a permanent exposition, presenting Lithuanian modern and contemporary painting, sculpture, graphics, photography, objects, installations, and video art. Here you can also take part in cultural events, lectures and educational programs. One of the most impressive contemporary art museums where art and nature merge is situated 19 kilometres from the centre of Vilnius. The Park of Europe was founded in 1991 and seeks to give meaning to the geographical centre of Europe in the language of art. 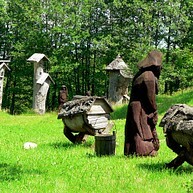 About 100 sculptures created by different world artists are displayed there. This monument is dedicated to an eminent American composer, guitarist and singer Frank Zappa. His music and iconoclastic character earned him a spot on the Soviet‘s list of banned artists, which impelled locals to build a statue for him right after the independence.